Since the pressure loss at the sprue gate is minimal, if the cracks mainly occur near the sprue, consider using multi-spot distribution gates, side gates, and shank gates. Under the premise of ensuring that the resin doesn't decompose or deteriorate, the proper increase of resin temperature can lower the melt viscosity and increase the fluidity, and at the same time, the injection pressure can also be reduced so as to reduce the stress. 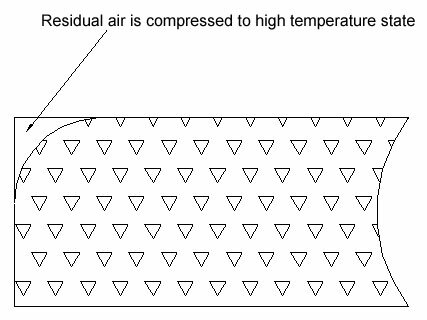 Under normal circumstances, when the injection mould temperature is low, it is easy to generate stress, and the temperature should be appropriately increased. However, when the injection speed is high, even if the mould temperature is lower, the stress can be reduced. If the injection and dwell time is too long, which will also produce stress. It is better to properly shorten it or to perform Th pressure holding switching. Non-crystalline resins, such as AS resin, ABS resin, PMMA resin, etc., are more likely to generate residual stress than crystalline resins such as polyethylene and polyoxymethylene, which should be noted. When demoulding and eject, due to the small demoulding slope, the mould-type adhesive and the male die are rough, the ejection force is too large, stress is generated, and sometimes even whitening or cracking occurs around the ejection rod. As long as you carefully observe the location which cause crack, you can determine the cause. When metal parts are embedded while injection moulding, stress is most likely to occur, and cracks are easily generated after a period of time, which is extremely harmful. The stress is mainly caused by the great difference in thermal expansion coefficient between the metal and the resin, and over time, the stress exceeds the strength of the gradually deteriorating resin material and cracks are generated. General-purpose polystyrene is basically not suitable for adding inserts, and the insert has the least influence on nylon. Because the glass fiber reinforced resin material has a small thermal expansion coefficient, it is more suitable for inserts. In addition, preheating the metal insert before moulding also has a good effect. The external stress here is mainly beacuse of the stress concentration caused by unreasonable design, especially the location in the sharp corners should be noted more. Overmuch use of recycled materials can degrade physical properties and cause cracks. Pressure in the cavity is insufficient. Fluidity of the resin is insufficient . The exhaust effect is not good. Increase the injection time to prevent that due to the moulding cycle is too short, the gate is solidified and the resin flow back, which causes the cavity is difficult to filling up. Increase the gate size. The general gate height should be equal to a half to one third of the wall thickness of injection moulded parts. Set the exhaust groove (average depth is 0.03mm, width is 3mm) or exhaust rod. It is more important for smaller parts. There is a certain buffer distance between the screw and the injection nozzle. Use a low viscosity grade material. The reason for this defect is essentially the same as insufficient filling, just to a different extent. Therefore, the solution is also basically the same as the above method. Especially for resins with poor fluidity (such as polyoxymethylene, PMMA resin, polycarbonate and PP resin, etc. ), attention must be taken more to properly increase the gate and proper injection time. The reason of shrinking pit and the insufficient filling is the same. In principle, it can be solved by filling it with excess filling. However, there is a danger of producing stress. We should pay attention to the uniform wall thickness when design, and minimize wall thickness of the strenthenning ribs, bosses etc place. Use high viscosity grade materials. Grind the mould surface where the overflow occurs. Use a harder mould steel. 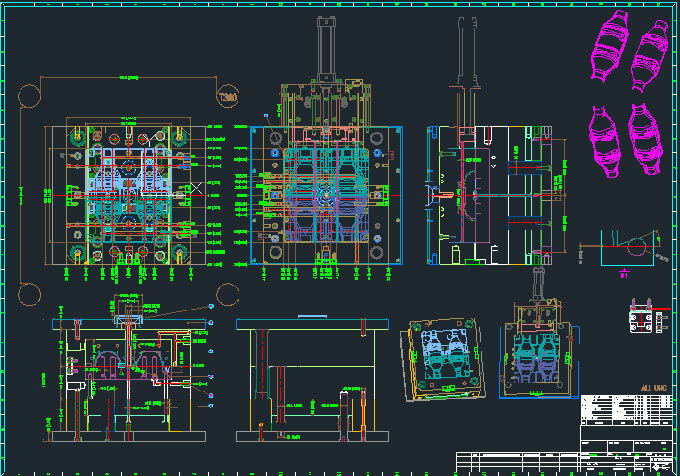 Adjust the joint surface and other parts of the accurate mould. Increase the mould support column to increase rigidity. Determine the size of different exhaust slots based on different materials. Adjust the injection moulding conditions to improve the fluidity. For example, increase resin temperature, increase injection mould temperature, increase injection pressure and speed and so on. Add exhaust groove, and the provision of an ejector rod at the place where the weld line is generated, which is also convenient for exhaust. Minimize the use of demoulding agents. Set the process flash and use it as the location that weld mark occurs. After moulding, cut down and remove it. If only affect the appearance, you can change the firing position to change the position of weld mark. Or treat the areas where the weld marks occur to be dark glossy surface and modify them. According to burns caused by different reasons such as machinery, injection moulds or injection moulding conditions, the solutions taken are also different. Mechanical reasons. For example, due to overheating of the cartridge due to abnormal conditions, the resin is pyrolyzed and injected into the product after burn. Or due to the nozzle, the screw thread, and the check valve etc in the cylinder, which causes the viscous flow of resin. The resin is decomposed and discolorated and enter into the injection moulded part, which causes the injection moulded part has dark brown burn marks. At this time, the nozzle, screw, and cartridge should be cleaned. The reason caused by injection mould is mainly due to the poor exhaust. This burn usually occurs in a fixed place, which easily distinguish from the first circumstance. At this time, attention should be paid to measures such as adding an exhaust slot and an anti-exhaust rod. In terms of injection moulding conditions, if the back pressure is more than 300 MPa, the cylinder will be overheated and burned. If screw speed is too high, overheating may also occur. Generally, it is better that the speed is in the range of 40 to 90 r/min. When the venting slot is not provided or the venting slot is small, excessive injection speed can cause overheat and gas burns. The silver line is mainly caused by the hygroscopicity of the material. Therefore, it should be dryed under the condition of generally be 10-15C lower than the thermal distortion temperature of the resin. For the more demanding PMMA resin wax series, it needs to be dried for about 4 to 6 hours under the condition of about 75C. Especially when using the automatic drying hopper, it is necessary to select a reasonable capacity according to the moulding cycle (moulding capacity) and drying time, and also to turn on the machine and drying material several hours before the start of injection. In addition, if the viscous flow of material in the cylinder is too long, the silver line will be generated. When different kinds of materials are mixed, it should be noted that such as polystyrene, ABS resin, AS resin, polypropylene and polystyrene can't be mixed. Jet pattern are the marks that move along the flow direction from gate. It is caused by the high injection speed that the resin flow from the gate. Therefore, lower the injection speed. In addition, increasing the temperature of injection mould, which can also slow down the cooling rate of the resin that is in contact with the surface of cavity, which also has a good effect on preventing the formation of the surface hardened skin at the initial filling. When deformation is caused by residual stress caused by moulding conditions, the stress can be relieved by decreasing the injection pressure, increasing mould temperature and making the mould temperature uniform and increasing the resin temperature, or by using an annealing method. When the stress is deformed due to poor mould release, it can be solved by increasing the number or area of push rods and setting demoulding draft. When the cooling method is not suitable and the cooling is not uniform or the cooling time is insufficient, the cooling method and the extension of the cooling time can be adjusted. For example, a cooling circuit can be setted at as close to the deformation location as possible. 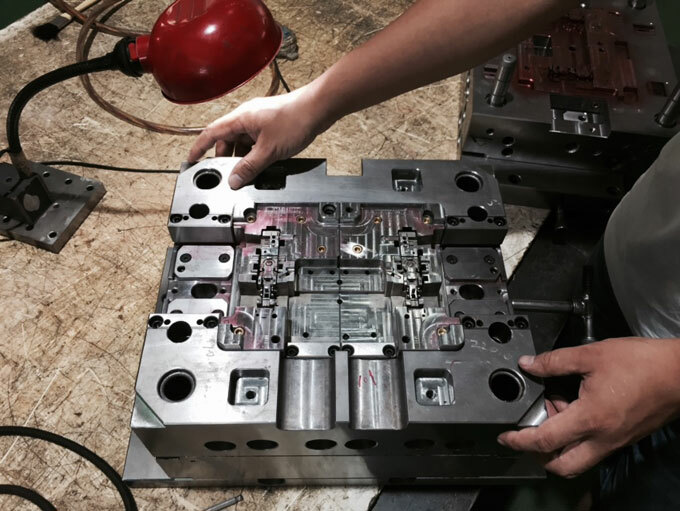 For the deformation caused by moulding shrinkage, the design of injection mould must be corrected. Among them, the most important thing is to pay attention to make the wall thickness of injection moulded part consistent. 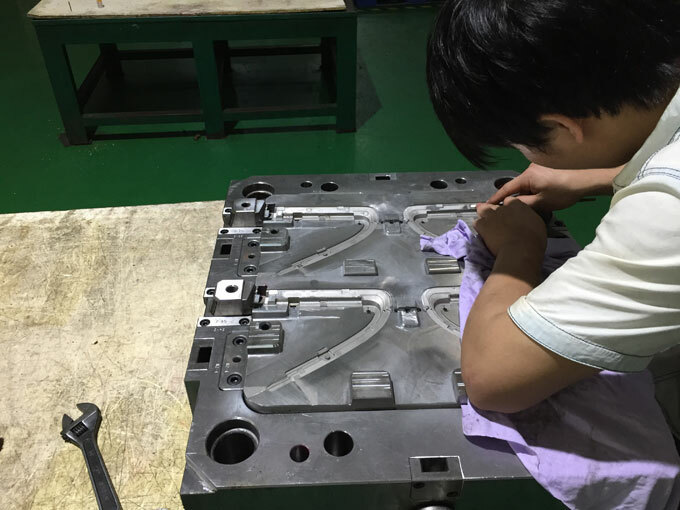 Sometimes, it is necessary to correct by measuring the deformation of injection moulded part and dressing injection mould in the opposite direction. Resins with higher shrinkage rates are generally that the deformation of crystalline resins (such as polyoxymethylene, nylon, polypropylene, polyethylene, PET, etc.) is larger than non-crystalline resins (such as PMMA resin, polyvinyl chloride, polystyrene, ABS resin and AS resin, etc.). In addition, since the glass fiber-reinforced resin has fiber alignment properties, so the deformation of it is also large. According to the wall thickness, determine the reasonable gate, runner size. The general gate height should be 50% to 60% of the wall thickness of injection moulded part. There is a certain amount of supplementary injection material until the gate is sealed. The injection time should be slightly longer than the gate sealing time. Use the material with a high melt viscosity rating. Lower the temperature of resin to avoid generating decomposition gases. 3. Bubbles caused by poor fluidity can be solved by increasing the temperature of resin and mould and increasing the injection speed. The whitening phenomenon occurs most in the ABS resin products. Poor demoulding is the main reason. It can be improved by reducing the injection pressure, increasing the demoulding slope and the number or area of the putter, reducing the roughness of injection mould surface etc. Of course, to spray demoulding agent is also a method, but what should be noted is that it won't have any adverse effects on the follow-up process , such as hot stamping, painting etc.